SCT63080 series are compatible with Molex MLX 6.2mm pitch power connectors. There are two industry standard connector lines sharing the spotlight for proven performance and versatility. These are the KK family and MLX family connectors, widely used for power and signal distribution applications in nearly every electronics market. Scondar offers both KK and MLX connectors. -female and male terminal, all manufactured with precision-fitting and durability ensuring accurate mating. The SCT6308 is compatible with AWG 18-22 wire and can handle 13 amps and 300 volts, depending upon the design characteristics. Highly flexible and resilient, Scondar’s MLX connectors are compatible with other standard versions of 6.35mm pitch wire-to-wire connectors. In addition to its 94V0 and V2 ratings, the MLX connector material is designed to retard fire or fire tendencies whenever the wires will be overloaded. This meets safety and environmental requirements. The MLX series is commonly found in most home appliances, servers and power supplies, data telecommunications, market motors, gas valves for hvac applications as well as LED lighting and industrial controllers. 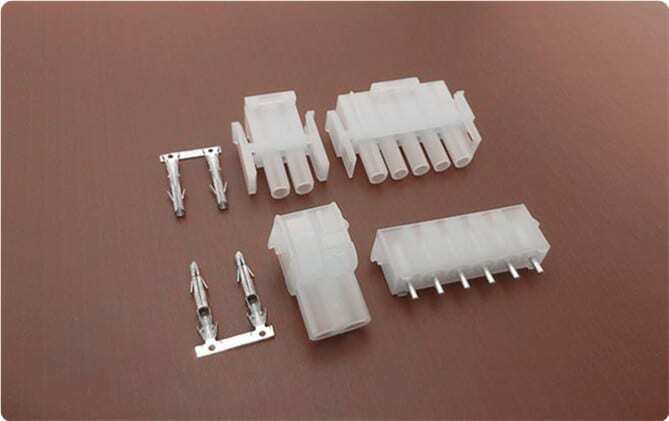 You can expect that your wire-to-wire connector package is undisturbed during the trip and has maintained its vitality even during your production stages, which is why a lot of our customers has raved about our product for both cheaply-priced and, at the same time, resembles the Molex MLX 6.35 pitch wire-to-wire product in performance and quality.